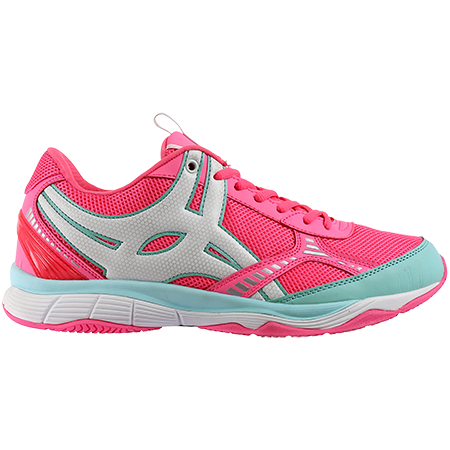 A bold design combined with outstanding lightweight breathable mesh upper with stability cradle for support. 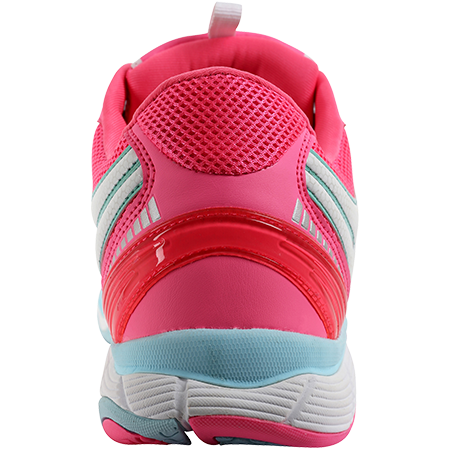 LITEX Mesh Upper – Lightweight, breathable mesh upper. 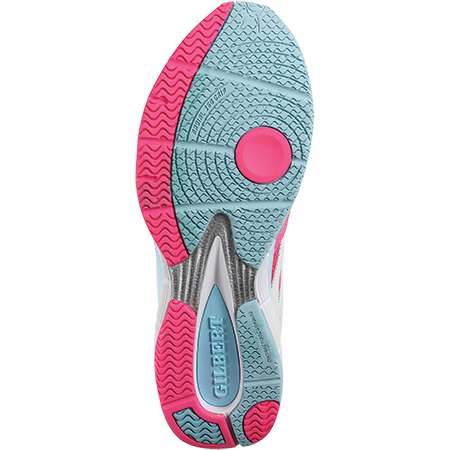 Integrated Stability Support System – Innovative logo design provides a cradle like effect around the foot for excellent lateral support. 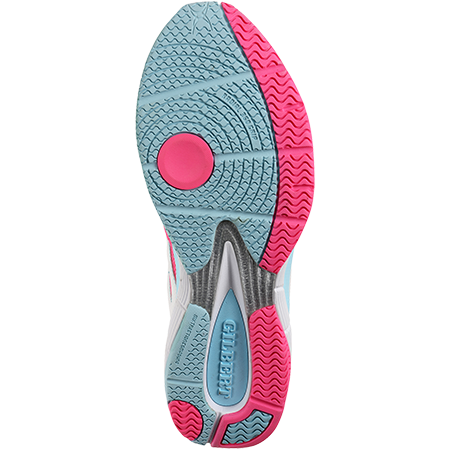 Impact Protection System PRO (I. P. S) - Smart impact-absorbing layer of foam, which absorbs impact energy - Breathable, antimicrobial and lightweight. 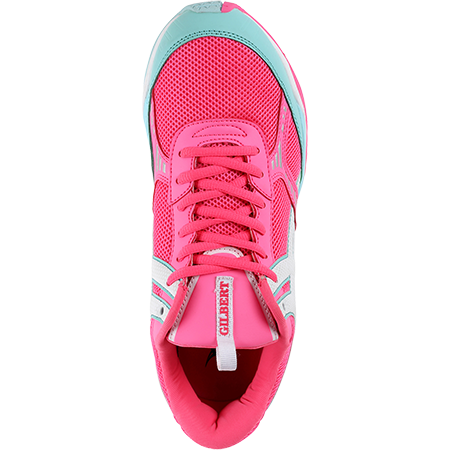 PROLAST L - Built on a ladies specific last to provide a superior fit. DP Footbed – Pre footbed with arch support and heel and forefoot HDF for improved energy transfer during foot strike. 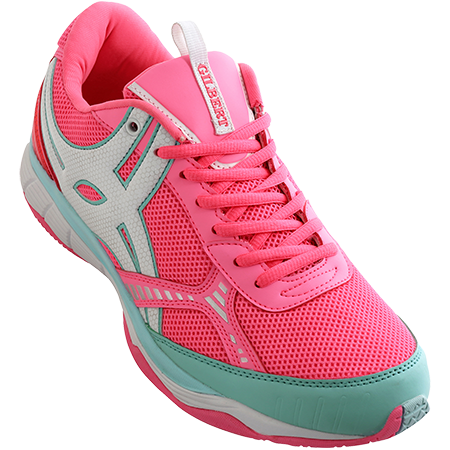 PIV0T1 Outsole – Designed with forefoot rubber wrap system for improved grip and durability required in Netball. 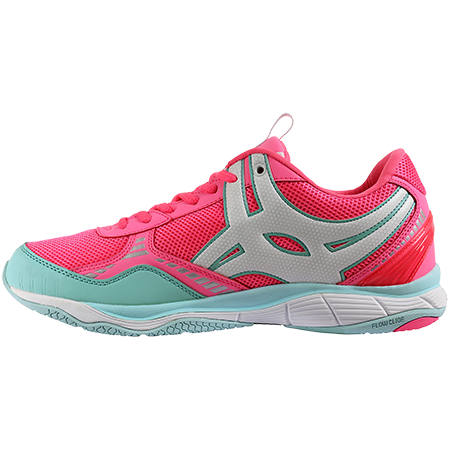 Key Pivot point design for specific netball dynamics. Using Xtra-Dura rubber compound. Midsole – Single density midsole with additional stability on the instep provides key arch support.